Freedom Within is a specialised Soft Tissue and Myofascial Therapy Practice based near Poole in Dorset, providing a high quality service, tailored to each client. 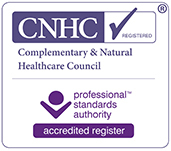 I have completed an Advanced Clinical Diploma in Integrated Myofascial Therapy and hold Advanced status on the register of MFR UK Practitioners. I have extensive experience providing Massage and Myofascial Release therapy for people with disability and neurological conditions be it congenital or following injury or an illness. Examples include Spinal injury, MS, Parkinsons and Cerebral Palsy. I also work with people living with the effects of auto immune conditions such as fibromyalgia which is a condition characterised by widespread chronic pain which appears to result from processes in the central nervous system. You can read more about this work here. I am also experienced in Scar Tissue Release techniques which can be applied to scarring from any surgical procedure including Caesarean Section, Hysterectomy, Mastectomy, Appendectomy, Hip and Knee Replacement. Read more about this work here. Natasha Alan-Williams, an Advanced Myofascial and Soft Tissue Therapist. I am registered with the Massage Training Institute and MFR UK. As you would expect, I am fully insured and hold an up to date Appointed Persons Qualification in First Aid. You can read more about me and my qualifications here. If you are unable to travel to the clinic, I am happy to visit you at home for an additional charge. Please contact me if you would like to book an appointment or have any questions. Please ensure the above details are correct.